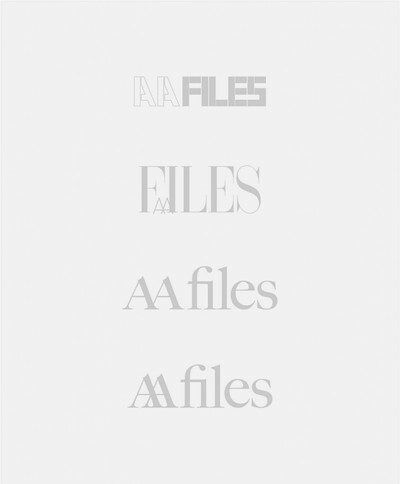 AA Files is the Architectural Association School of Architecture's journal of record. Launched in 1981 by the AA School's then chairman Alvin Boyarsky. The AA Files looks to promote original and engaging writing on architecture. 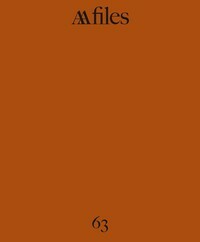 It does this by drawing both on the AA School’s own academic research, lecture programme, exhibitions and events, as well by a rich and eclectic mix of architectural scholarship from all over the world. Even the most casual visitor to the AA’s club-liked premises at Bedford Square where the school, the London and International networks make contact in a series of elegant eighteenth-century public rooms, cannot but be caught up in the momentum of the daily events which have made the AA a centre for the public discussion and display of architecture on a unique and unprecedented scale. Unfortunately, until the advent AA Files,’ writes AA Chairman Alvin Boyarsky in 1981 in the opening pages of the first issue of the long-running journal, ‘few glimpses have been available and certainly no documents exist recording aspects of this all-important phenomenon.’ In this student-edited issue AA Files 76 looks back on 37 years of not only glimpsing architecture as it happened at the AA, but also of writing about architecture and, through the idiosyncrasies, interests and generosity of its authors and editors, extending those conversations far beyond Bedford Square. Presented in facsimile, AA Files X revisits the voices, ideas, drawings and designs that have filled its pages for nearly four decades.